Gravesite of Rebbe Nachman of Breslov in Uman, Ukraine. Breslov (also Bratslav, also spelled Breslev) is a branch of Hasidic Judaism founded by Rebbe Nachman of Breslov (1772–1810), a great-grandson of the Baal Shem Tov, founder of Hasidism. Its adherents strive to develop an intense, joyous relationship with God and receive guidance toward this goal from the teachings of Rebbe Nachman. The movement has had no central, living leader for the past 200 years, as Rebbe Nachman did not designate a successor. As such, they are sometimes referred to as the טויטער חסידים (the "Dead Hasidim"), since they have never had another formal Rebbe since Nachman's death. However, certain groups and communities under the Breslov banner refer to their leaders as "Rebbe". The movement weathered strong opposition from virtually all other Hasidic movements in Ukraine throughout the 19th century, yet at the same time experienced growth in numbers of followers from Ukraine, Belarus, Lithuania and Poland. By World War I, thousands of Breslov Hasidim were located in those places. After the Bolshevik Revolution, Communist crackdowns forced the movement underground in Russia. Thousands of Hasidim were imprisoned or executed during the Great Purge of the 1930s, and killed by Nazis who invaded Ukraine in 1941. The movement was regenerated in the United Kingdom, United States, and Israel by those who escaped, with large numbers of Yemenite Jews and other Mizrahim joining the sect. The Breslov Yeshiva and Synagogue in Mea Shearim, Jerusalem, established by Rabbi Eliyahu Chaim Rosen in 1953. "Breslov" is the name used nowadays by Breslover followers for the town of Bratslav, where Rebbe Nachman lived for the last eight years of his life. Bratslav is located on the Bug river in Ukraine (latitude 48.82 N., longitude 28.95 E.), midway between Tulchin to the south and Nemirov to the north—9 miles (15 kilometers) from each. Bratslav should not be confused with Wrocław, a town now located in Poland, called in German "Breslau", and also pronounced "Breslov" in Yiddish, which was a renowned Jewish center in its own right. Prior to his arrival in Breslov in 1802, Rebbe Nachman lived and taught in other towns in Ukraine such as Ossatin, Moheilov, Zlatopol and Odessa. But upon his arrival in Breslov he declared, "Today we have planted the name of the Breslover Hasidim. This name will never disappear, because my followers will always be called after the town of Breslov." Later, followers said the name of the town dovetailed with the Rebbe's teachings. He encouraged Jews to remove the barriers that stood between themselves and a closer relationship with God. They noted that the Hebrew letters of the word Breslov (ברסלב) can be rearranged to spell lev basar (לב בשר —the "ס" and "ש" sounds are interchangeable), "a heart of flesh"—echoing the prophecy in Ezekiel (36:26): "I [God] will take away your heart of stone and give you a heart of flesh." (For this reason, some adherents spell the name of the Hasidut, "Breslev", stressing the lev (heart). Contemporary Breslov teacher Rabbi Shmuel Moshe Kramer of Jerusalem also noted that the gematria ("numerical value") of the Hebrew letters of Breslov (ברסלב) is 294, as is the Hebrew spelling of Nachman ben Faiga (נחמן בן פיגא) (Nachman son [of] Faiga)—the names of Rebbe Nachman and his mother. The Breslov approach places great emphasis on serving God through the sincerity of the heart, with much joy and living life as intensely as possible. Breslov teachings particularly emphasize emunah (faith) as a means to teshuvah (repentance), and that every Jew on any level of Divine service is required to constantly yearn to return to God, no matter how high or low he or she is situated on the spiritual echelon. Breslover Hasidim see the study and fulfillment of Torah life as the means to a joyful existence, and their approach to worship is very personalized and emotional, with much clapping, singing, and dancing. Rabbi Nachman said, "It is a great mitzvah [commandment or good deed] to always be happy". In this same lesson, he notes that even leading intellectuals in the medical field will attest to depression and bitterness being the main cause of most mental and physical ailments. Rebbe Nachman also placed great emphasis on Jewish prayer. Besides the regular daily services in the synagogue, Rebbe Nachman advised his followers to engage in hitbodedut (literally, "self-seclusion"), on a daily basis. Rebbe Nachman claimed that every true tzaddik attained his lofty spiritual level almost uniquely because of hitbodedut. The Rebbe explained that hitbodedut is the loftiest form of Divine service, and that it is virtually impossible to be a good Jew without this practice. During hitbodedut, the individual pours out his thoughts and concerns to God in his mother tongue, as if talking to a close personal friend. The goal is to establish complete unification with God and a clearer understanding of one's personal motives and goals. Rabbi Yisroel Ber Odesser, a Breslover Hasid from Tiberias who inspired the Na Nach movement. A sub-group of the Breslov sect, colloquially known as Na Nachs, use the Na Nach Nachma Nachman Meuman mantra, which is based on a permutation of the Hebrew letters of Rebbe Nachman's name. This mantra was not used by Rebbe Nachman himself, but was taught in the 20th century by Rabbi Yisroel Ber Odesser. The NaNach movement however is highly controversial within the wider Breslov Chassidus as they place less emphasis on learning traditional Jewish texts such as the Talmud and for their wild dancing in the streets. Rabbi Nachman always maintained that his high spiritual level was due to his own efforts and not to his famous lineage or any other circumstances of his birth. He repeatedly insisted that all Jews could reach the same level as he, and disagreed with those who thought that the main reason for a Rebbe's greatness was the superior level of his soul. "My Rosh Hashana is greater than everything. I cannot understand how it is that if my followers really believe in me, they are not all scrupulous about being with me for Rosh Hashana. No one should be missing! Rosh Hashana is my whole mission." During his lifetime, hundreds of followers spent the holiday with him; after his death, his closest disciple, Nathan of Breslov ("Reb Noson") organized an annual pilgrimage to his grave starting with Rosh Hashana 1811, the year after Rebbe Nachman's death. Until World War I, thousands of Hasidim from Ukraine, Belarus, Lithuania and Poland joined the holiday prayer gathering. The Rosh Hashana kibbutz operated clandestinely and on a smaller scale under Communism, when public prayer gatherings were forbidden. The pilgrimage was officially reinstituted after the fall of Communism in 1989, and continues to this day, with upwards of 20,000 men and boys arriving each Rosh Hashana from all over the world. "Whoever comes to my gravesite and recites the Ten Psalms of the Tikkun HaKlali ("General Remedy"), and gives even as little as a penny to charity for my sake, then, no matter how serious his sins may be, I will do everything in my power—spanning the length and breadth of Creation—to cleanse and protect him. By his very payot ("sidecurls"), I will pull him out of Gehennom [purgatory]!" The main Hasidic texts revered and studied by Breslover Hasidim are those written by Rebbe Nachman and Reb Noson. All of Rebbe Nachman's teachings were transcribed by Reb Noson. Additionally, Reb Noson wrote some of his own works. Rebbe Nachman's magnum opus is the two-volume Likutei Moharan (Collected [Lessons] of Our Teacher and Rabbi, Nachman), a collection of 411 lessons displaying in-depth familiarity and understanding of the many overt and esoteric concepts embedded in Tanakh, Talmud, Midrash, Zohar and Kabbalah. In the introductory section of certain editions of Likutei Moharan, the book is likened to the Zohar itself, and Rebbe Nachman is likened to the Zohar's author, Rabbi Shimon bar Yochai. This is based on the citation of numerous parallels between the lives of the two sages, as well as the fact that the names "Nachman ben Simcha" (Simcha being Rebbe Nachman's father's name) and "Shimon ben Yochai" share the same gematria (numerical value) of 501. Sipurei Ma`asiyot (Story Tales) – 13 mystical parables, also published in English as Rabbi Nachman's Stories, 13 Tales of Rabbi Nachman, Tales of Ancient Times. Tikkun HaKlali (The General Remedy) – a specific order of 10 Psalms which remedies p'gam habrit kodesh (blemish to the sign of the holy Covenant, i.e., the organ of procreation), and all sins in general. Likutei Halachot (Collected Laws) – an 8-volume Hasidic commentary on Shulchan Aruch which shows the interrelationship between every halakha and Rebbe Nachman's lessons in Likutei Moharan. Likutei Tefillot (Collected Prayers) – 210 direct and heartfelt prayers based on the concepts in Likutei Moharan. Shemot HaTzaddikim (Names of Tzaddikim) – a list of the tzaddikim of Tanakh, Talmud, Midrash, Kabbalah, and Hasidut, and Geonim of Torah in general. Students of Reb Noson, their students, and their students' students added to Breslov literature with further commentaries on the Rebbe's teachings, as well as original works. Beginning in the 1970s, Breslov works in English began to appear, most notably Rabbi Aryeh Kaplan's Gems of Rabbi Nachman. The Breslov Research Institute, founded in Jerusalem in 1979, publishes authoritative translations, commentaries and general works on Breslov Hasidut in the major languages spoken by modern-day Jewish communities: English, Hebrew, Spanish and Russian. Breslovers do not restrict themselves to Rabbi Nachman's commentaries on the Torah, but also study many of the classic texts, including the Tanakh, Talmud, Midrash, and many others. They may also study the writings of Rebbes from other dynasties. In fact, Rebbe Nachman claimed that while even a complete simpleton can become a pure and righteous Jew, the ideal study schedule of an extremely scholarly Hasid should include the Tanakh (Hebrew Bible) with its commentaries, the entire Talmud with its commentaries, the entire Shulchan Arukh, all the Midrashic works, the Zohar and Tikkunei Zohar, the teachings of the Arizal and other kabbalistic works, all over the course of a single year. The Breslov Siddur published in a 2014 hardcover edition (828 pages in length) is one of the few Hasidic siddurim available in an English language translation (and contains the original text). Translated by Avraham Sutton and Chaim Kramer. Yonina Hall is the editor. Today Breslover communities exist in several locations in Israel, as well as in major cities around the world with large Jewish populations, including Los Angeles, New York, Paris, London, Montreal, and Lakewood Township, New Jersey. While there are no exact statistics, according to the Breslov Research Institute, the number of core adherents in Jerusalem and Bnei Brak amounts to several thousands families, and several tens in Safed. The original Jerusalem community, was founded by emigrees from Ukraine in the late 19th century, and was joined by descendants of the Yerushami yishuv hayashan (Old Yishuv in Jerusalem) community. It is built around the Breslov Yeshiva in Mea Shearim founded by Rabbi Eliyahu Chaim Rosen in 1953, which is referred to as the shul. It is affiliated with the Edah HaChareidis and led by Rabbi Yaakov Meir Shechter and Rabbi Shmuel Moshe Kramer. Breslov teachings emphasize the importance of drawing people to the "true tzadik" as the key to rectifying the world, overcoming evil and bringing people closer to God, according to Rebbe Nachman and Reb Noson. In Breslov thought, the "true tzadik" is Rebbe Nachman himself. The first large-scale Breslov outreach activities were conducted by Rabbi Levi Yitzchok Bender, who attracted thousands of baal teshuva followers to the Breslov movement in the 1970s and 1980s. Concurrently, Rabbi Eliezer Shlomo Schick began publishing his nearly 1,000 pamphlets distilling the teachings of Rebbe Nachman of Breslov and disseminating them to a worldwide audience. Schick also founded the Heichal Hakodesh Breslov community – largely consisting of baalei teshuvah – in the Galilee town of Yavne'el, Israel, in 1985. As of 2015 that community had nearly 400 families, representing 30 percent of the town's population. Rabbi Eliezer Berland, rosh yeshiva of Yeshivas Shuvu Bonim in the Muslim Quarter of the Old City of Jerusalem, has also brought thousands of Jews from secular backgrounds closer to Orthodox Judaism and Breslov. One of Berland's students, Rabbi Shalom Arush, went on to found the Chut Shel Chessed Institutions in Jerusalem. Arush leads a group including Sephardic followers of Breslov Hasidut, who mainly originated in the baal teshuva movement. Other Breslov rabbis engaged in outreach include Israel Isaac Besançon, rabbi of the Shir Chadash community in Tel Aviv, and Shalom Sabag. The Na Nach group, which follows the teachings of Rabbi Yisroel Ber Odesser, conducts on-the-street outreach with its roving musical vans and dancers, and sidewalk distribution of Breslov texts. ^ See Jewish Theological Seminary of Breslau, for example. ^ "Welcome to Breslev Israel". breslev.co.il. Retrieved 2010-04-20. ^ Likkutei Moharan II, 24. ^ See Likkutei Moharan I, 52; II, 25, et al. ^ Rabbi Nachman's Wisdom #141. ^ Questions and Answers Breslov Research Institute. ^ Likkutei Moharan II, 8, 66-67; Likkutei Halakhot, Shabbat 5:9-10; ibid., Hashkamat HaBoker 5:1-3; ibid., Tolayim 4:4; and many other places. ^ Persico, Tomer (Winter 2014). "Hitbodedut for a New Age: Adaptation of Practices among the Followers of Rabbi Nachman of Bratslav". Israel Studies Review. 29 (2): 99–117. 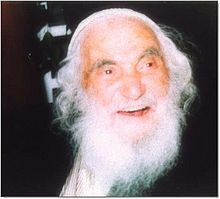 ^ "Harav Eliezer Shlomo Shick, zt"l, of Yavne'el". Hamodia, Israel news, February 12, 2015, p. 9. ^ "About the Yeshiva". shuvubonim.org. 2001. Retrieved 2010-04-20. ^ Molner, Adam (25 May 2008). "Rolling with the Na Nachs, the most high-spirited and newest Hasidic sect". Haaretz. Archived from the original on 8 March 2010. Retrieved 22 May 2009. Greenbaum, Avraham (1987). Tzaddik. 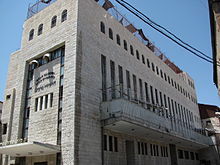 Jerusalem/New York: Breslov Research Institute. ISBN 0-930213-17-3. Kramer, Chaim (1989). Crossing the Narrow Bridge. Appendix B: Breslov Books. Jerusalem/New York: Breslov Research Institute. ISBN 0-930213-40-8. Wikimedia Commons has media related to Breslov. This page was last edited on 20 December 2018, at 00:14 (UTC).